Entrepreneurship comes with a punch in the mouth. Can you take it? Entrepreneurship is not easy. Whatever you want to start that has value and can bring you value is hard to achieve. It is hard because nothing valuable comes easy. There will be many mistakes made, there will be many failures and you as an entrepreneur learn and grow from these failures and mistakes. It is important to give value to what you are offering. But putting so much time in the product and service takes you away from putting time for yourself. You as an entrepreneur should come ahead of your product. The mind and soul behind your business determines the quality of it. If you want to have a high quality product or service you have to have high quality standards for yourself too. Read as much as you can. Gain knowledge in the field you are working in. Get to know the customers. See how you can help them as a human. Work on the values you can offer through your product or service. Learn about leadership. Learn about persuasion. Learn how habits form and how you as an entrepreneur can form right habits that will push you through this rough path. You have to make every cell of your body and mind work for you to achieve your goal. This is not achievable unless you work on it. Even if you have the best product or service and you don’t work on yourself as an entrepreneur, you will give up. You will get distracted. You will be pushed away and you will fall and you won’t be able to get up and continue. You are the one forming your future’s success. Look at yourself and see if you have the characteristics of the successful person you are imagining in the next one, two, three, or 10 years time. See what is lacking and work on those. Instead of putting so much time refining and elaborating your idea, work on yourself first and do other things on the side. Learn as much as you can, grow as a human, be kind to people, always be ready to give a helping hand, listen to successful people, share your knowledge… If you want to become rich, you have to ask others for money. But first you have to make yourself care about them. Giving up is another common mistake that first time entrepreneurs make. I mentioned that it is not easy to achieve your goal if it is something valuable. You have to give up many things to get what you want from life. This journey is hard but it is joyful as well. Don’t give up when you hear a no for an answer. Don’t give up when you see no sells. Don’t give up when you see no return on the time your are investing. First of all there are and will be returns on every action you take towards your goal. It is just that we will choose to only see what we want to see. We don’t see the amount of experience we are gaining with each step. You will learn, refine, and act again accordingly. If you believe in your idea you have to be persistent and have patience. Jack Ma founder of Alibaba says many times in his presentations that he didn’t have any sells on Alibaba for months when they started it. They had to put their own products online, they had to buy them themselves, and they repeated this until they found real sellers and buyers. It requires patience. As an entrepreneur we have to learn how to become patient no matter how hard it is. Especially these days with the existence of social media and instant feedback, likes and comments, that are making us impatient human beings who need to see quick responses or they will give up. Steve jobs says it right. “If you want to make everyone happy don’t be a leader. Sell ice cream.” It is true. Your product or service should have a niche target market. You have to make your target narrow to be able to get attention. Sometimes the people closest to you might say your idea is not good enough and you have to make changes to it. If you believe in it, if you see potentials in it, don’t change it. Don’t listen to those who are saying you have to make your market bigger. Stick to your idea, your market becomes big for you. People will find you for who you are. If you think there are people that their opinion would affect yours, don’t share your idea with them. Start your business, get some results and when it is performing to the level that you are confident about it, then you can tell them. There are many other things I like to talk about from my experience. There are many things I want to tell all first time entrepreneurs. But I will bring this post to the end by just telling you this; you deserve to live your dream life. There is nothing more valuable in this world than trying to achieve what you want to become in this world. If you are here reading this post it means you have realized you want to make a change. This is the first step and the most important one. I know what you are going through; all the questions, the excitements, and disappointments that come on your way. I totally understand it. There won’t be a stop to it. You will learn how to deal with your emotions as you grow in this journey. Entrepreneurship is sailing in the sea of emotions. There will be sunny sky and calm sea, there will be storms as well. You will learn how to deal and sail like an expert. But you have to step into the sea to be able to learn and become a successful sailor. Don’t worry about anything. I want to give you the courage to step in. Take a deep breathe and know that you will only face things that you can handle. Start making changes to your life now. Tomorrow is too late. Decide today and use every second of your life, changing every cell of your body and mind towards achieving your goal. You should become the success you want to see in the future. When you, your mind, body, and beliefs become that success no matter what you do, it will be successful. Cheers to all of the first time entrepreneurs who are wayyy ahead of many people in life by deciding to change their life for themselves and others. here are 4 books I highly recommend reading. These will change your perspective on life, business, and relationships. “Why do our headaches persist after we take a one-cent aspirin but disappear when we take a fifty-cent aspirin? Why do we splurge on a lavish meal but cut coupons to save twenty-five cents on a can of soup? “Do you know the #1 reason that stops people from getting what they want? Ten years later, it’s still a lack of focus. “Most of us believe that pounding our way through our days is the only way to prosperity and success. We sacrifice time with our loved ones, our weekends, our vacations, and perhaps even our sanity, in exchange for a paycheck. We put ourselves and our health at the bottom of our priority list and give everything to the great pursuit. We want to have it all, but don’t find satisfaction in any of our achievements. Instead, we find ourselves sitting in our offices and big houses feeling unhappy, broke, burnt out, and unfulfilled. Beautiful Money offers another option. Let me know what books you have recently read that you enjoyed! Gratitude: it is not happy people who are thankful. It is Thankful people who are happy. List 3 things you are grateful for. One of them should be very simple. Like feeling the wind on your skin. Write down your most important tasks for the day. Affirm your goals in writing. Exercise: even 10 minutes sprint helps your body wake up and gives you lots of energy for your day. Hot water with lemon: you just have to try it. 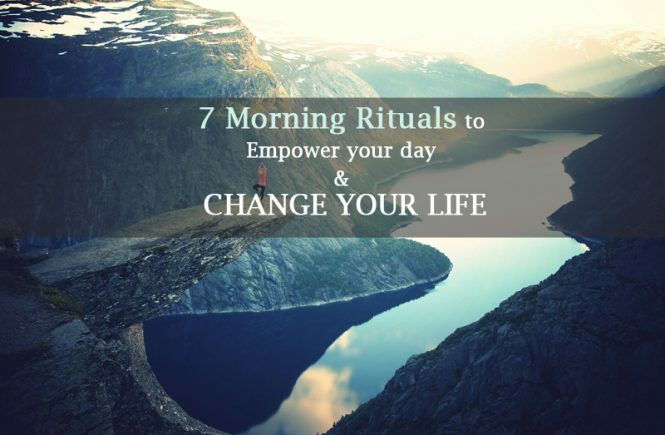 You will feel amazing throughout the day. It has many benefits for your health and body. 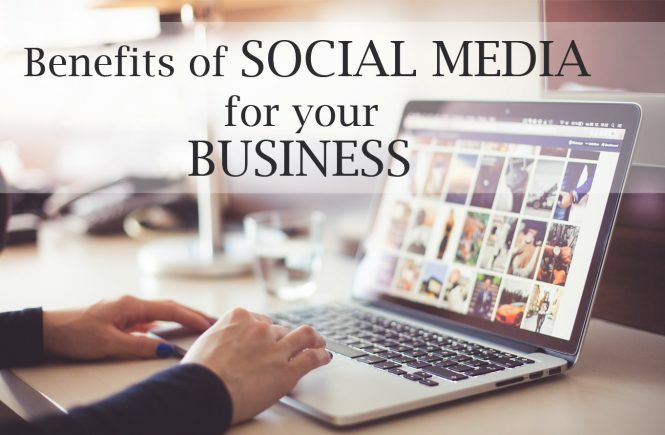 Being active on social media would definitely bring lots of value to your business. People like to interact with humans. And social media sites give you the chance to come out of your business shell and connect with your audience. One big mistake is to create pages for your business and just post all about your services and be super formal with those posts. People want to know you when they come on social media. They want to socialize. This gives you a huge asset to use. Make one on one connection with your target market. Get to know them so you can serve them better. Be authentic. Demonstrate your empathy. Keep it real. Post photos of activities at work and outside the work, like community activities. Show your audience, you are beyond your business. Be yourself on social media. People might contact you just because they see you are both having the same interests or you are both doing the same sports activities. Researches have shown that more than 50% of consumers would like to hire an expert who is active on social media. Consumers use social media to evaluate you, your behavior, and your services. They need to see you outside your website. They want to make connection with you as a human and social media is a great platform to do that . Activity on social media also shows that you care more about your consumer. You think about them and how you can help them rather than how they can help you by spending money on your site. You take some time to interact with them and also provide them with free information and help. Social media is interactive. Make people comfortable to work with you. Show your trust factors. Social media also helps you show your immediate attention to your consumer by answering their questions, and responding their comments. Social media is permanent. It allows you to keep record of all the excellent public interactions you have. If you think you don’t have enough time to take care of your profiles, or if you can’t respond and interact with others, it is much better no to have a social media profile. Having a dead profile will have negative effects. It happens a lot that people don’t open social media profiles because they are afraid of negative comments. Don’t fear negative comments: no real business has 100% happy clients. Negative comment is an opportunity to show your reaction when you have an unhappy client. You can show your constructive, helpful manner. This way it becomes positive. No one expects a business to have 100% positive reviews. Psychology is the base of many things we do in life. When doing business draw your strategies around how people think and make decisions. Read experiments, and learn about human’s decision making habits. Don’t think you know the answers. Sometimes the results are unexpected and totally different from what you think. Psychology helps you become creative. It helps you come up with interesting strategies to convert someone who just came on your site to browse, an actual paying customer/client. Countless studies in Psychology, Sociology, Economics, and Political Science have shown that humans are not rational decision makers. This is because our decision making is influenced by our life’s experience and how we have developed our habits and how our mind is evolved over many years to provide us with survival advantages. There are many ways and I am sure endless points, hints, and experiments online and in books about human’s decision making habits. But here are top 8 motivating factors that can help you make more money by converting your site visitors to your paying customers. You need to see how your website/product/service helps your potential clients with the risks they might face. In other words you have to mention what they will lose by not contacting you. Keep in mind that fear by itself might have an opposite effect. Your advertising campaigns, or content of your website should inform potential customers the threats that your product or service can alleviate followed by precise and clear steps they can take to reduce the danger. If they need to buy your product in order to do that, you have to mention step by step how your product reduces the risk and how it will help them. Let’ say you are a dentist, you can mention the danger of not having regular dental checkups and then mention how you solve those problems and eliminate the risks your clients might face if they don’t do their checkups. You need to educate them about the risks and give them your solution. Humans seek status and social power. Your website should show how your product or service is connected to your client’s desire for status. You have probably felt that after buying some of your favorite brands, you feel rich and great. You could probably get the same thing cheaper from another brand but the desire for status in you make it totally rational to spend more on a brand that gives you the luxuries feeling. So if you want you can relate and show how coming to you and using your product or service is more luxury than your competitors. How having your brand brings pride and sense of satisfaction. Humans desire for status makes you earn more on things you could offer for less. This is how you can make your potential customers to act soon. Scarcity often makes things more valuable. Let them know what would happen if they delay contacting you or buying your product or services. This can be different for each type of business. For businesses related to health and law, you can mention what health and monetary risks your potential clients will face by lack of action or delay in action. 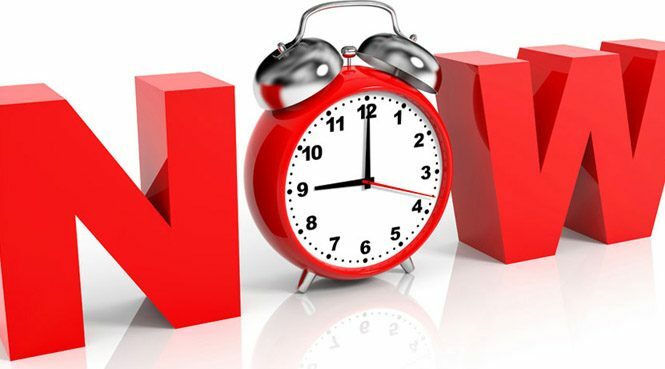 If you are selling products, you can have great offers that will end soon if your potential customers don’t act soon. Make sure the negative consequences of failing to act quickly. Don’t confuse your website visitors with having too many options on your site. Make sure you are clear about your products and services. Your website should be easy to browse for visitors and they have to find what they are looking for easily. Depending on what you are offering you can write step by step and clear messages on what would happen if a visitor does a certain activity on your site. You can have Q&A page. Answer their questions. Make it crystal clear for them. If you want them to fill a form, make sure you are mentioning clearly what would happen when they hit submit button. Making videos, posting photos, answering questions and having chat boxes on your website will help greatly with certainty. Make sure your website and brand is consistent. Consistency gives a sense of trust to your potential customers. This consistency should be through layout, images, language, feel and tone. Make sure your site is consistent in look with your social profiles. Use the same logo, language, theme, and colors. This is where you can gain your potential customers’ trust and make them like you. Use images and language that shows how approachable and trustworthy you are. Write content that addresses your potential customers’ core concerns. Let them know that you understand them. If you are offering something expensive and you have financing option for those that can’t pay at once, let them know. Do research and see what your potential customer’s main problems are when making a decision on your product and service. Let them know that you understand and how you can solve their problem. It is tempting to think of ourselves when we want to start a business. We think what is in it for us. When you think this way and build your business around this idea it makes it bring you nothing. People don’t come to you to give you their money because they think you deserve to live better. They come to you, so you can solve their problem. They spend money to make their own life easier and better. They spend money on your products to give them a sense of satisfaction. Visitors to your website will not take action if they don’t see their needs are met. You have to show your website visitors that you care about them and that you are here to help them. This can be done through educational content, customer care pages, answering questions, and replying quickly to emails. Having these 8 points in mind and applying them to your website will help you greatly with converting your Website Visitors to your Paying Customers. Doctor appointment, weight loss, replying to an email, following up with someone, and so many other things can be done tomorrow as well. We can always start something from tomorrow. We can always push back the deadlines and still manage to live and be alive. But is this the way you’d like to live? This should be the question. We all have at least one role model in our life. Do you see procrastination in that person? Does she leave everything for tomorrow and she is still your role model? If not, then you know that she is your role model because you love how she does things that you like and appreciate, On Time. The only reason that she is now your role model is her “Let’s Do it Now” attitude. You both love tennis. But she is your role model because she is actually doing it. You both love healthy lifestyle, and know how important it is. But she is your role model because she actually puts effort in doing it every day. Procrastination is the only barrier between you and your best self. It is not family. It is not opportunity. It is not money. It is not luck. It is commitment. Procrastination can make someone who was supposed to be champion winner an ordinary person who has the champion winners’ posters on her room’s wall. She sometimes replaces their faces with her own. It gives her the sense of satisfaction with minimal work. Well if you are tired of chasing others who are living your dreams, it is time to stop. Yes, I am not asking you to do anything, just stop. Stop for a moment and think. Do you really want to achieve what you are chasing in your role models? Is there anything in life that you want it so bad but never thought of giving it a try? Or you don’t feel like doing anything about it today because there is always a tomorrow coming that you hope you’ll have more energy to do it? Stop and think again. You just need to decide one time. As soon as you decide, you have to respect yourself and keep yourself committed. The best time to do anything is Now. You can’t and won’t be a champion winner today, but take one step towards it now. Now is the only time that can tell you if you are made to win or if you are made to lose. We all come to this world with the hope of making it a better place for everyone. But then over time we forget, we do things wrong, we form bad habits, and we get use to our low standards. But it is never too late to wake up and make the changes. It takes time of course. First, it takes few weeks to get yourself to stick to your plans. And 3 months to improve the sense of commitment in yourself and one year to make sure you are the doer person. And 3 years to be a role model for others. Days pass one by one. Why don’t we form them as we wish. This is a gift that is given to us. We are free to form it as we like. But how many of us use this opportunity and this gift? Let’s start now. Decide to push procrastination away. This is only possible if you set rational deadlines. Give yourself incentive after meeting your deadlines. These little steps, this commitment and energy is what will give you everything you wish to do and have in life. It is not easy. If it was then everyone was doing it right. It takes a bit of energy to start it. But it takes lots of commitment and guts to continue. Can you say no to your best friend just because you are supposed to do something for yourself and that the deadline is approaching? Can you leave an amazing party early because you have deadlines to meet? Can you ask your children to wait because there are some things you have to do every day and you can’t skip even one day not doing it? It gets hard and harder. Your commitment to do your tasks will be put to the test. You will face situations that it is really hard to decide and almost motivates you to skip your deadline for something else. That is where most people leave the route to success. The route where it leads to championship. The route that leads to a better person, healthier life, fit body, peaceful mind or whatever that is the end goal for you. If you think you can skip once and it should be ok, you are completely wrong. One takes you to two, and two to three and so on… And then it comes the time you have to restart and push yourself again and this time it gets even harder to start. Procrastination comes from a Latin word. Pro means for, and cras means tomorrow. It is that simple. Don’t look at the complicated “procrastination” word. It is as simple as “for tomorrow”. Sometimes looking at the procrastination word gives you the credit to say it is too complicated to deal with it. It sounds like a strange disease that I don’t need to know about it. But it is a simple disease of leaving everything for tomorrow. You can cure yourself simply by just taking some steps today. Then build from that. Then make it harder for yourself. Have you ever gone to the gym? have you ever decided to grow your muscles bigger? The only way is to start light on weights and once it gets easy for you add to it. Again once it gets easy add more weigh. This is the only way you can make your muscles bigger and bigger. Now with your commitment to do your tasks on time, to beat procrastination, and to achieve your goals and become successful, you have to start light and then add to it. You can start by taking one step towards your goal today. Next week, each day you can take two steps. Then make it even harder. Make the phone calls you had to do months ago. Take tasks that are harder for you to do today but you have to do them. Life puts you to the test. You will end up in situations that you have to decide and choose between your commitments and family, friends, and helping others. Of course these are all great and amazing and you have to care about others too, but this should not give the excuse to leave your commitments. The stronger you become the harder life tests you. And then a day comes that you see yourself winner of this battle. That is when you feel everything in life is manageable. That is when people that you had to say no to, now cheer for you and have you as their role model. That day is when you hold your head high and see yourself as a winner. Here is a great study from my favorite writer and teacher Dan Ariely that I got to know through my husband. He is done a great experiment with his students that is worth to take a look and learn. Dan had three classes. He was giving assignments to each class with different form of setting deadlines. First class he said they can set their own deadlines. And once they set it, they can’t change it. They have to be committed to those deadlines. Late papers would be penalized at the rate of one percent. Then Dan told the second class there will be no deadline at all. They can hand in the papers at the end of the semester if they wish. And for the third class he gave strict deadlines for each assignment. Papers had to be given on fourth, eights, and twelfth week. Are entrepreneurs great project managers? An entrepreneur is someone who starts a business from and idea in form of a start up or buys a running business and change it. A project is something that has a start and end. While a business doesn’t end but it contains many projects within itself that are temporary and have start and end. Usually startups don’t have enough budget to hire project managers or other resources. So an entrepreneur is usually a multi talented person who is great at project management. You need to be able to set goals, do the planning, and execute, to deliver quality results that communicate with your target through the value it is offering. These are what a good project manager does. So if you have started many things in life and you gave it up on the early stages without knowing why, one of the reasons might be because you didn’t have project management skills. It is amazing to be born as a project manager and have all the skills in your DNA but not everything in life comes to us that easy. It is a good news to know that you don’t need to be gifted in project management in order to start your business and follow your passion, you can learn to manage projects. Project management can be the solution for the problems you face while starting a new idea. It actually helps a lot to learn about managing a project while experimenting. It gives you the knowledge and experience at the same time. As an entrepreneur you need to know how to set goals, how to set time and budget and do all the plannings. You also need to know how to efficiently test your idea. This prevent you from spending so much time and budget on something that would not bring any value. While testing, you can always measure and make changes in the process of shaping your business. Even if you are not an entrepreneur and you don’t want to have your own business but would like to pursue your career in the field of project management I highly recommend starting something that would not require any monetary investment. This gives you a great experience on how business owners, stakeholders, users and team members feel in a project that you are managing. Books and schools can give you knowledge of how you should think and process but only experience and being in the position of stakeholders can teach you how they feel and how they form their expectations. A successful project manager not only understands the nuts and bolts of the field they are working in, she also understands the feelings, psychology, and thought process of people involved. Starting your own business teaches you how to be a stakeholder, a developer, a project manager, and a user. And it also helps you appreciate the hard work it takes to have a successful business. This makes you appreciate things that stakeholders have done in the past and show them you know the value in their work and you care as much as they care. So I would say entrepreneurs should be great at project management and should learn the science involved in it to be able to run small projects in their business to have a healthy running business. And project managers should all have entrepreneurship experience to learn about the Art of project management. Learn about all the soft skills required to run a successful project that cares more than having a project done within a time, budget and scope; by bringing value to both stakeholders and end users. Marketing 101 For Artists – 5 key points to help you make more money today! You have probably heard this a lot that showing your work in today’s world is much easier with the existence of internet and social media. You make something, you put it on your website and social media sites and you will get instant feedback, love, and support from your followers. The big challenge in the days of technology is not, not having enough tools to show your artwork, it is how you want to show your work to the right audience at the right time and make money. We all get so much support from friends and family online but most of the time they are not the ones who would pay for our artwork. We have to make sure we are getting the same attention from the ones who are actually interested in our product and services. But how do we find them? How can we stand out in the online world with so much noise and competition? Here is an interesting truth. Although people use internet to show their works there are few people who do their online marketing right. There are few people who take care of their online presence and take right actions to be the winner. It is never too late to start taking care of your online presence. And once you start it you will see the results. You will position yourself high enough for your right target market to see you and actually pay you for your craft. Online Marketing refers to actions you take to show your business online to the right customers and boosts your business to a higher and more professional level. Online Marketing helps you live everyday doing what you love. Here are few recent statistics from Hubspot that shows why you should take action and start your Online Marketing Today! YouTube has become the 2nd Largest Search Engine – bigger than Bing, Yahoo, Ask & AOL combined. 50% of all mobile searches are conducted in hopes of finding local results, and 61% of those searches result in a purchase. When you see 61% of people search online to find what they need you instantly know that you should put your product online. If you are offering services you have to mention your services online to be found by them. When you hear Youtube has become the 2nd largest Search Engine, you instantly should think of the ways you can make videos and be present on youtube as well. There are many ways you can make videos. It can be you talking about your products or services or it can be series of images showing something. Keep in mind that videos are great to make connection with your audience. They work best when you start educating people through your videos. You want them to trust you first. Stay away from selling. When you start talking about selling your products or services you will lose your viewers. You want to genuinely help and educate your audience to keep them and gain their trust. Once they decide to buy they will come to you. You just need to keep posting to make sure they think of you as an authority and expert in your field. 60% of all organic clicks go to the top 3 results. This should make you think how you can make yourself visible on the first page of search engines. You have to answer a simple question. Am I the most relevant result for that specific search query? Being on the first page takes time. It takes time because you have to prove search engines such as google that you are expert in what you are claiming and you have authority and you can help those that are searching for that specific product or service. Google wants to make sure that users (people that use google to search) would have the best experience. Therefore it generates algorithms every now and then to make sure the result it puts in front of the users are the most relevant and helpful ones. So to make yourself authority and expert it is important to find a unique point about your work and market around that. If you are a Wedding Photographer with a unique service or if you are a Fashion Designer with a unique vision for your designs make sure that your online presence shows and screams that uniqueness. By this you will take yourself out of competition with general terms and you will be found for specific and more targeted search queries. As an artist and creative person you are capable of thinking creative ways to do your online marketing. We hear a lot from people that artists don’t know how to do business. 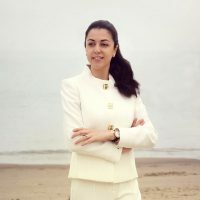 Business in general, and thinking like a businessman or businesswoman takes hard work and education but being a creative person you can easily come up with solutions to help you with your online presence and you can always get help for the business parts by asking mentors to measure your progress and give you solutions accordingly. Here I am listing 10 changes you can make today to your online presence with the goal to achieve more sales and money for your business. I am not saying have a website. Having a website is not enough anymore. Google looks at your website first to see if it is mobile responsive in order to show it. Having a Mobile Responsive website is a must have. What is Mobile Responsive? Your website needs to be shown different on desktop monitors and mobile phones because the screen size is different and the way people interact with websites on their phone is different than how they work on desktop. If your website is not mobile responsive and you check it on your phone you will see small text, small images, and you have to scroll right and left to be able to see the whole website. This brings a poor user experience, makes users tired of browsing your site, and they end up leaving your site. Search Engines don’t want to show websites to the users that would result in poor online experience. That’s why your website should change when you look at it on your phone. It re-arranges the content in a way that is easy to read and browse on mobile phones. There are many solutions for that. You can build your websites using platforms that offer both desktop and mobile websites. In this way you don’t need to make two individual websites. You’ll make the content and it takes care of showing it. One of these platforms is WordPress. WordPress lets you find your desirable theme and look and you can make the changes to the content of the website without the knowledge of code. You can also have online store on your site. Now that you have your mobile responsive website it is important what you put on your site. Search Engines find you through your content. So if you are a Fashion Designer or a photographer do you think search engines will find you if you put only photos on your site? How can they read and see what your website is about in order to put you in front of their users? So what is the solution? Having the right content on the right places. Home page is a great place to talk about what you offer and what your business is all about. Make sure your content doesn’t sound like robots. Write it in a way that you would talk to a friend describing your business. Add passion to it and make the connection with the people coming to your site. Having a short video under 1 min that reviews your business or shows your products or even you talking about your products or services will be a great idea to engage people and make them stay a bit longer on the home page. If the nature of your business is in photography and you have to put photos in order to show your work make sure that your website has a blog that will be updated on a consistent basis. Your blog communicates with search engines so that they would know what your website is about in order to show it to the users. Find 10 or 20 keywords related to your work. And use those keywords in your content. Find the keywords that you want to be found for. Let’s say you have a Portrait Photography in Toronto. You take portraits, headshots, and kids photos. Some of your keywords will be portrait, portrait photographer in Toronto, toronto portrait photoshoots, professional headshot photographer, toronto professional headshot, portrait photography studio, photography studio in toronto… and so on. You have to write blog posts and use these keywords in your content. When people search for toronto photographer search engines look at the content of the sites and they’ll see which is the most relevant to show. The headlines of your blog posts is the most important factor in making people to click and read more. Definitely take your time to think about eye catching headlines. One useful trick is to look at the magazines. They have spent lots of money to ask experts to write those headlines and they monitor, measure and make improvements. Look what they are doing and how they are writing their headlines and then follow their work. Just change the words to make it relevant to your post. What does this mean? Well, you will benefit the most when people around your location look for products and services that you are offering. It is more likely that they approach you instead of someone else. How can you be local? How can you rate higher online based on your location? Fill the form by adding a unique description, and choosing the right category for your business. Add your phone number. Upload as many photos as you can. Add your business address. This is very important and wherever you enter your business address it has to be consistent. Write your business address somewhere to keep and wherever you want to enter it just copy and paste it. This way you’ll make sure your address is written in the same way everywhere it is being used. Nothing should be different even the minor things that you think doesn’t matter. It has to be exactly the same. Upload cover photo. Get reviews if you can. Having reviews help a lot in decision making. There is higher chance of being selected because of your good reviews rather than someone else even with more experience but lack of reviews. Add the same address you entered on your Google My Business page to the footer of your website. Enter your product/service and location in the title of your website. Make sure to write the name of the city/region in your images title tag. Use the name of your city/region in the content of your site. Find authoritative directories and add your business name and website link with the same address you have on your Google My Business page. Enter your address, or your city/region on your social media profiles. It is very important to have quality links. Both being linked to or giving links to other websites. This gives you credits and authority. This gives the Search Engines a reason to show your website. Why? Because this proves, you know something and people are interested to read and learn more from you. Link building is very important. As soon as Google announced that it rates based on links, black hat SEO marketers started posting links everywhere. On bad quality pages, on comments, on irrelevant pages. Soon Google had to think of monitoring the quality of the links. Now posting links just everywhere gives you negative points and bad reputation. You have to make sure that your links are among the good quality ones. You want relevant websites and blogs to link you because your content is relevant to them. You want people to share your links because you are offering something useful to them. There are many blogs and magazines that accept submissions and want guest writers. You can easily contact them with a piece of content and get links to your site. If you are linking to other sites make sure you are giving links to good quality and authoritative sites in your field. No money should be given or taken for links. Search Engines are way smarter than what many people think. There are so many bad habits and practices that can ruin your online marketing reputation. Stay relevant and show your expertise and become authority in your field and you will gain a lot from that. There is no secret that social media profiles help your business to be in front of more people. My suggestion is that make as many as possible and make regular updates to your social media profiles and measure your progress. Once you have some data to work with, then close the ones that are not working for you. Not all business types would benefit from all social media platforms. Put your energy in the ones that are working and make the best use of them by making relevant and appealing posts. Social media sites are the great opportunity to have your content shared. Make something shareable. Read about viral posts and see how you can take those steps to make something viral. As I have mentioned earlier in the stats giving from Hubspot “Daily Pinterest users have increased more than 145% since the beginning of 2012” This gives you as an artist an amazing opportunity to master your pinterest marketing. By creating boards, posting your works and linking them to your site, writing relevant description. Posting inspirational images and thinking of the ways to increase the number of your followers. Keep in mind that in today’s world of internet and fake followers, numbers can lie. Don’t measure your success with number of followers. Your job and the thing that pays your bills and puts you in your dream house is not number of your followers. It is the number or your true followers who are interested in you and your products and services. They engage and learn from you. They keep you in mind and are loyal to you. Website is what you need to have to introduce your business, services to your audience and make connection with them and deliver your message. Your website should be well optimized for search engines. Meaning that when people search for products or services that you are offering search engines bring them back the results. You want search engines understand your website and your business in order to put your site in front of the users. Your website should have a professional look and be user friendly. Your website is your first impression. You want to make the right impression. If you are expert in your field and you believe in your services then your website should show that. If people come across a poorly designed website, they’ll leave, they can’t trust you. I know we should not judge the book by it’s cover but this is business and not lala land. People judge a book by it’s cover unless they have heard so many good things about a specific book that then they don’t care about the cover and just pick the book because they know the author and the title. Now if they know the author and the title and see a nice cover, that would be even better impression. As a start up business you have to take care of your first impression. It is the essential to get customers. Once you have them, then you and your services make them to come back. Your website should convey a tangible sense of trust and that can be done through a great looking design that is easy to browse and understand. So make sure you have a professional looking website that is clean and delivers your message. It is easy to browse and people can easily find your services, can read about you, and find more information based on the service they are interested in. Make the content of your website related to what you are offering. Use your keywords in the content of your site. So that search engines can find the keywords and bring your site up when someone is searching using similar or exact terms. You want to give your audience a reason to follow you and visit your site on a regular basis. When they need something that you are offering automatically they know where to go. I am sure you already know the importance of mobile. People browse through their mobile and find businesses using their mobiles. Even you do the same too. So it is very important to have a mobile responsive website. Mobile responsive means to have a website that changes when people browse through mobile. Why does it have to change? To make it more readable and easy to browse on mobile devices. If someone comes on your site using mobile and your site loads slow or doesn’t change according to the device, don’t doubt that the person leaves. The WordPress platform or even Wix give you websites that are responsive and change according to the device is being used. You don’t even need to do anything extra they care of this through their designs. If you currently have a site that is not mobile responsive stop reading this and go change your site. God knows how many clients you have lost just because of that. Google first looks at your site and if it is not mobile responsive, it gives you a negative point and shows related websites that are mobile responsive first. It is important to have a site that is easy to browse and understand by your audience. If people come to your site and close it right away, google keeps record of that and over time it makes your site less visible to users. This is called bounce back. If you have high rate of bounce back you should double check the content of your website with the keywords you are using, and services you are offering to make sure all are related. Don’t use keywords and tags that are not related to your post or services. If you are giving online ads make sure your ad is in line with your keywords and the service you are offering. Search Engines wants to give users (people that search for something) the best possible experience. You should give your audience the best possible experience too in order to rank higher by search engines over your competitors. SEO means Search Engine Optimization. Onsite SEO means things you take care on your site to make it optimized for search engines. This includes the content you are writing on your site, the heading you are using, the name of the images you have on your site, anything that is written in text and can be read by search engines. Make sure to use your keywords and make your site the most relevant result to what you are offering. It is very important to define your brand early when starting your business. Put your message out there and see how you want to channel your message to your audience. Tell people why you do what you do. If we go back to the fitness coach example, instead of saying “you help moms get fit after pregnancy”, you can say, “you give confidence back to new moms by giving them a strong and fit body through fitness and healthy nutrition”. This kind of messages that emphasis on “Why” rather than “What” communicates better with your audience and gives them a reason that why they should come to you. Depending on your work you can go deeper in your “Whys” make them as unique as possible to make a better connection. If you have a personal story that you can attach to your brand and the reason you are starting your business, fuel your brand with your story. Stories are boosters and make great connection with people. Your brand is your core business principle.When defining your brand make sure you are addressing these three essentials about your business: What is it that makes you or your business unique? How does it connect with your audience? And what is your message that you want to deliver to your audience? Your message should be consistent. One of the goals of an integrated marketing is to show your message to your audience using all the available channels. So make your message unique, easy to understand, and memorable. Your business and goals already identify your audience. Depending on what you do and what your goals are you can find your niche market and see which audience will help you reach your goals. Who understands your business and connects with your story? Who gives value to what you do and sees value in what you are offering? Your business should not appeal to everyone. It should appeal only to your audience. The more appealing your business is to your consumer, and the more value they see in what you are offering, the more you can move on to reach your business goals. Defining tactics and coming up with solutions in order to attract your audience highly relies on your brand, and on identifying your audience. So if you have not specified your brand and audience I highly recommend doing that before planning your tactics. Because you can’t plan your strategy if you don’t know who you want to attract and what you want to tell them. Once you know your audience and know your message then planning a strategy to deliver them the message becomes very easy. Integrated marketing is the most important aspect of digital marketing for today’s businesses. Competition is getting high and integrated marketing is the only way to make sure you are taking care of all the aspects that can put your business in the winning position. As you know and have probably experienced yourself many people repeatedly go to businesses that have gone before and have experience with. So it is important to put yourself among the first options when your consumer searches for a product or service you have to offer. This not only brings you a customer for the first time but also has a very high chance that you can win that customer in the future. It takes a bit of creativity to set up promotions and offers to not only they would come back to you but they would also bring others with them too. In order to have a thorough marketing strategy you have to make sure your business is highly visible online using different channels. Especially when you are starting out you have fewer data about how people find you and what channels are performing better or where your audience are spending most of their time or where they go to find businesses like yours. So it is important to be highly visible and to use all the available channels until you have enough data to work with. Then you can decide to put more of your focus on specific channels or areas where you think are bringing you most profit. The first step in integrated marketing is to define your goal. Strategies form around your business goals. The more defined goal, the better solution you can come up with for your strategy. Also goals help you measure results. Here are few examples in defining goals: You can for instance say you want to see increase in number of leads. Or you want to see increase in number of purchases on your site by [set a date], or increase in number of contacts by the next two months. Just keep in mind that your goal should be Specific, Measurable, Attainable, Realistic, and can be achieved in a Time you are setting. In short your goals should be realistic and smart. Read on How you can Define Your Brand Here. The first step in making anything new is to have an idea. Ideas are very important because you want to spend so many time around your idea. It is better to have an idea that has the winning potential and you 100% believe in it. If you don’t believe in it then you can’t and won’t convince others to believe in your idea. If you are reading this post it means you already have an idea. You want to learn the steps in making it live online and market your business to your audience. Whatever your idea is you have to have a mission and your business and online network should form around your mission. For instance my mission is to help people become self-employed business owners that do what they love to do every day and make their -dream life- a possible reality. Through your mission you can define your consumer. Once you define your consumer, your mission helps you connect with them. Let’s say you are a fitness coach. You want to establish an online business. You see there is potential in helping new mom’s to get fit and gain their “before pregnancy” body back. You decide to offer online training plans and books. Your mission becomes helping new mothers to get fit and give them back their confidence which leads to happier and healthier lifestyle. Reading this mission statement you can easily see who the audience is. In this case “New Mothers”. Now, how you can connect with them? By showing what your mission is and how you can help mothers to get fit and healthier. So as you can see it is very important to have a mission that helps a group of people in some ways. There should be a reason for them to come to you. The better and stronger the mission the less you should be worried about pricing. You have to think of the value you want to serve. The more value in your services the more you can charge. Keep in mind that your audience does not include everyone. So it is completely ok and normal if your services or products are too expensive for some, or if they can’t see the value in it. But you definitely need to make sure the audience you want to reach understands your services and the value in what you are offering. Now that you have a pretty good idea about your mission, audience, and your product let’s build your online presence. The first thing you need is a website. There are few solutions for that. Another way is to use cheaper solutions like Weebly and Wix websites that give you a pre-built website. Every website’s needs are different. While these solutions can be good for some I highly recommend using WordPress platform for your website. WordPress is proven to be the best solution in the industry and it is used by big brands and companies. It serves your need of having a website with a professional look. It also gives you the ability to make changes to the content of your site whenever you want without the knowledge of code. There are both versions of free and paid wordpress themes. Depending on which look you decide to go with, you can select between the many available options. The good thing about wordpress is that whenever you decide to change the look of the website the content stays the same, you just easily switch the look. Of course depending on the theme you would need some adjustments but you won’t loose any content or you don’t need to copy and paste your content to the new website. It is recommended to have one of your keywords in your domain name. Pick something that is memorable. Your domain name should make sense in order for people to understand and remember. Having a keyword in your domain makes it easier for search engines to understand what your website is about and has good effects on your SEO (search engine optimization). But as you know there have been domain names and very successful businesses who have broken this rule. It is up to you on which root you want to go. But the points that I’ve mentioned help a lot for brand awareness and to start in a better position when your business doesn’t have much history for people to recognize it. I know it is going to take some time to find a name that is not taken and suits your business. Unfortunately many names are taken and it is a bit hard to find something that you can purchase. Take your time as this will be the name that you want to stick with for hopefully many many years. Login to your hosting account and go to your control panel. Click on the website icon and enter the domain name where you want to install your site. Once you click on Install button you will have access to your wordpress site..
Now you can choose a look for your site. There are many designs available that are done by professionals. You have the option of both free and paid versions. Once you login you will see your dashboard. On the left you have your menu. I recommend going through each to explore your options. To change the look of your site on the left panel select “Appearance”. More options will open, then select themes. When you click on themes you will see your many options on the right side of the panel. All you need to do is to select the one design you like. Click on Install Now and then Activate. As I mentioned earlier you can change your theme later on without loosing any information or posts on your site. To view your site, you can simply type in your domain name in the browser. I have to add and mention that this solution is a good start but it would be a great idea to ask a professional to help you and have your site done and make it keep and running for you. There are some benefits with that. 1) you don’t need to put time to learn and build your site. 2) a professional knows SEO strategies they have to use in order to make your site visible to your audience. At the end you want to make money through your website and the only way is to bring your audience and customers on your website. There are many things you have to take care in order to make your online business successful. Success comes with knowledge and experience. It takes time. There are things you have to do as a start point, then you need to gather information and make changes accordingly. Purchasing of this book is a great first step to give you a starting point. Now that you have your site up and running it is time to show your business online to your audience. Keep in mind that in order to have a successful online business there are many factors you have to consider. 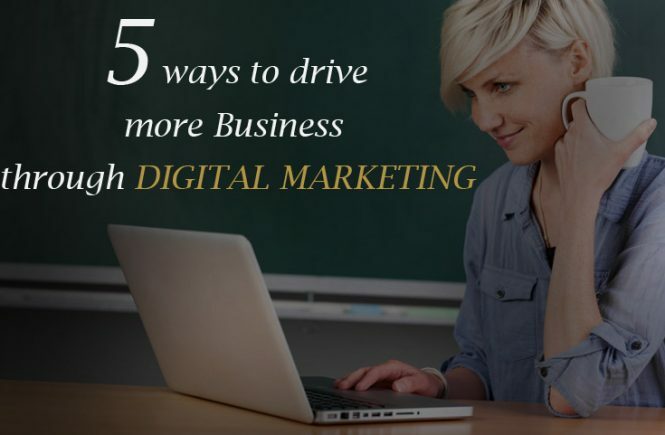 There are strategies to help you put your business online in front of your audience. It doesn’t matter if your business is purely online or if you have a business like a restaurant, salon, photography, dentistry,.. It can be anything and still you need to follow these strategies in order for your consumer to find you. Read my articles to learn more about these strategies. How you create a thorough marketing strategy for your business. If you see yourself as a business owner who advertises her business directly to your consumer, know that you are following traditional interruption marketing. This might be the answer to your question that “I am very active I talk to everyone I see about my business, I spend a lot on ads but I don’t get enough money in return to even cover my costs”. In modern marketing, the marketer creates an environment where the idea can replicate and spread among consumers. How can you do modern marketing? You have probably heard about making tribes. Tribe is where you find a connection between you and your target market. Tribe is where everyone feels comfortable being in it and feels belonged to that place. Tribes help you offer more than your service or product to your target market. You can offer free education on what your target has interest in. Tribes connect you deeply with your audience and makes them part of who you are. Stop selling. Don’t interrupt people to talk to them about your product. See what they need. And indirectly put your product in front of them. Make them ask for your product. Find the interest areas of your target and be where they are. Be creative and give solutions through your service and product. Let them know what it is in it for them. Be positive, give value, solve problems, and be genuine, these are the best marketing tools you can use to start your business.